Refurbished HP servers from a leading server reseller - Since 1987! Whether you are looking to sell a used HP server, or buy refurbished HP ProLiant servers, World Data Products is your trusted source for new and refurbished servers, storage, and networking equipment. With our IT Asset Disposition program, we buy used HP servers and test every component before offering refurbished servers for sale backed with a warranty. We stock many models of HP rackmount servers in 1U, 2U, 4U, 5U, or 8U form factors. Do you need a third party maintenance program with next business day replacement? We can do that too! 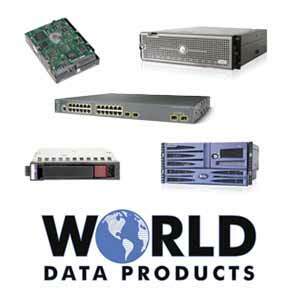 Contact us today for the best prices on HP rack mount, tower, or blade servers. Looking for a HP ProLiant ML310 tower server, DL360p or DL380p? Give us a call!